Arrowhead Lake is a small alpine lake in Elmore County, Idaho, United States, located in the Sawtooth Mountains in the Sawtooth National Recreation Area. The lake is accessed from Sawtooth National Forest trail 494 along Johnson Creek. 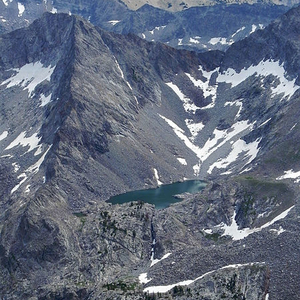 Arrowhead Lake is in the Sawtooth Wilderness, and a wilderness permit can be obtained at a registration box at trailheads or wilderness boundaries. The lake is just upstream of Pats Lake. Here's the our members favorite photos of "Lakes in Stanley". Upload your photo of Arrowhead Lake!